In 1 Thessalonians 1:10 and 5:9 Paul indicated that Church saints will not experience the outpouring of God’s wrath during the future Day of the Lord, implying that the Church will be removed from the earth before that day—with its divine wrath—begins. In light of this implication, the question must be asked, When will the future Day of the Lord, with its outpouring of God’s wrath, begin? Several biblical facts provide the answer to this question. First, the first four seals of Revelation 6 involve a great outpouring of God’s wrath upon the earth. Three things indicate that this is so: (1) Christ is the One who breaks these seals (vv. 6:1, 3, 5, 7, 9, 12; 8:1); thus, He is the source of the horrors unleashed through the opening of the first four seals. (2) God is the One who determines the extent and effects of the famine of the third seal (v. 6). (3) The first four seals involve death by the sword (war), famine, pestilence (plague) and wild beasts, and the Scriptures indicate that these four things are instruments of God’s wrath (Lev. 26:21–28; Dt. 28:20–26; 32:22–25; Jer. 15:1–9; 16:4, 10–11; 19:7–9, 15; 21:5–7; 44:8, 11–13; Ezek. 5:11–17; 6:3, 11:12; 7:3, 8, 14–15; 14:21; 33:27–29; 38:19–22; 39:4). A comparison of the events following the opening of the first four seals with the beginning of birth pangs (Mt. 24:5–7) indicates that those events and the beginning of birth pangs are the same thing, and there are reasons for concluding that the beginning of birth pangs will take place during the first half of the 70th week of Daniel 9. One of those reasons is that the Bible describes both the time of Jacob’s trouble and the Great Tribulation as unprecedented times of trouble (cp. Jer. 30:6–7 with Dan. 12:1 and Mt. 24:21), thereby indicating that the time of Jacob’s Trouble and the Great Tribulation are the same thing since logically there can be only one such time without precedent. In addition, the Bible associates birth pangs with the time of Jacob’s trouble (Jer 30:6–7). Since the time of Jacob’s trouble and the Great Tribulation are the same thing and since birth pangs are associated with the time of Jacob’s trouble, then birth pangs must also be associated with the Great Tribulation. The Great Tribulation is the unprecedented time of trouble; therefore, the birth pangs associated with it must be the severe birth pangs of hard labor. They cannot be the less severe, beginning birth pangs which precede hard labor. In light of this, the beginning birth pangs of Matthew 24:5–7 must take place during the first half of the 70th week before the Great Tribulation of the second half of the 70th week begins. The events of the first four seals and the beginning of birth pangs are the same thing and the beginning of birth pangs will take place during the first half of the 70th week; therefore, the first four seals must also take place during the first half of the 70th week. Those seals will involve a great future outpouring of God’s wrath upon the earth, and the Church will be removed from the earth before that outpouring of God’s wrath upon the earth. It must be concluded, therefore, that the Church will be removed from the earth before the first half of the 70th week. Second, in 1 Thessalonians 5:2–3 Paul indicated that the coming of the future Day of the Lord will be similar to the coming of a thief in the night and the birth pangs of a woman with child. The similarity that Paul had in mind is that just as a thief in the night and a woman’s birth pangs come suddenly without warning so the future Day of the Lord will come suddenly without warning. The birth pangs of a woman that come suddenly without warning are her beginning birth pangs, not her later, more severe birth pangs of hard labor. The later birth pangs do not come without warning for they are preceded by the beginning birth pangs. Thus, Paul was teaching that the beginning of the future Day of the Lord will be characterized by the beginning of birth pangs. As noted earlier, the beginning of birth pangs (Mt. 24:5-7) will take place during the first half of the 70th week, and the beginning of the future Day of the Lord will be characterized by the beginning of birth pangs. It can be concluded therefore that the future Day of the Lord will include the first half of the 70th week of Daniel 9. As noted earlier, the Church will be removed from the earth before the future Day of the Lord when his divine wrath begins, and the future Day of the Lord will include the first half of the 70th week; therefore, the Church must be removed from the earth before the first half of the 70th week. Third, in 1 Thessalonians 5:2–3 Paul indicated that the future Day of the Lord will come suddenly with destruction when the unsaved feel that they have peace and safety in the world. In conjunction with this it is important to note that once the events of the first four seals begin, the world will not be characterized by peace and safety until after the 70th week ends. The rider of the second seal will be given authority to take “the peace” (literal translation) from the earth. The first four seals will bring death to the people of one-fourth of the earth through the sword (war), famine, pestilence, and wild beasts (Rev. 6:8). This is the opposite of peace and safety. According to the Bible, the sword, famine, pestilence, and wild beasts go together with lack of peace and are the result of God’s withdrawal of peace (Jer. 14:12–14; 16:4–5); but the absence of the sword, famine, pestilence, and wild beasts is characteristic of peace and safety (Lev. 26:56; Ezek. 34:23–30; Hos. 2:18). The events of the first four seals will be characterized by the opposite of peace and safety, since once they begin the world will not be characterized by peace and safety until after the 70th week ends. Since the future Day of the Lord will come suddenly with destruction when the unsaved feel that they have peace and safety in the world, it can be concluded that the future Day of Lord cannot begin at any time after the events of the first four seals begin. Instead, the future Day of the Lord must include those events. Since, as noted earlier, the first four seals will be opened during the first half of the 70th week, and the future Day of the Lord will include the opening of the first four seals, it can therefore be concluded that the future Day of the Lord will include the first half of the 70th week. Because, as noted earlier, the Church will be removed from the earth before the future Day of the Lord when its divine wrath begins, and the future Day of the Lord will include the first half of the 70th Week the Church must be removed from the earth before the first half of the 70th week of Daniel 9. 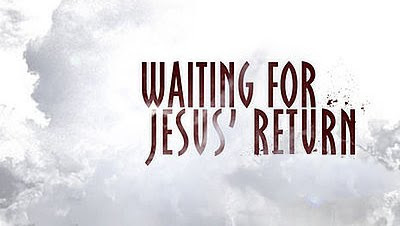 The expression the imminency of Christ’s return means that Christ could return at any moment. Nothing else has to happen before His return. Two significant things should be noted concerning the imminency of Christ’s return. First, the Bible teaches the imminency of His return in such passages as 1 Corinthians 1:7; 16:22 (“Maranatha” means Oh, Lord come! ); Philippians 3:20; 4:5; 1 Thessalonians 1:10; Titus 2:12–13; James 5:7–9; Revelation 16:15; 22:7, 12, 20. Some of these passages declare that the Lord is near or at hand (even at the time the New Testament was written). Others indicate that the believers of the first century were eagerly waiting for Christ to return. All of them imply that He could return at any moment. The pretribulation Rapture view is the only view of the Rapture which comfortably fits the biblical teaching of the imminent return of Christ. It is the only view that can honestly say that Christ could return at any moment and that nothing else has to happen before His return. Since all the other views believe that the Church will go through at least part of the 70th week of Daniel 9 before Christ returns to rapture it, those views cannot honestly say that Christ could return at any moment. According to those views, at least some part of the 70th week of Daniel 9 has to transpire before Christ returns to rapture the Church.